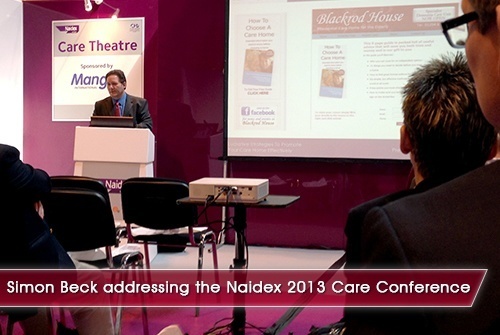 Want An Entertaining, Thought Provoking, Crowd Pulling Speaker At Your Care Event? 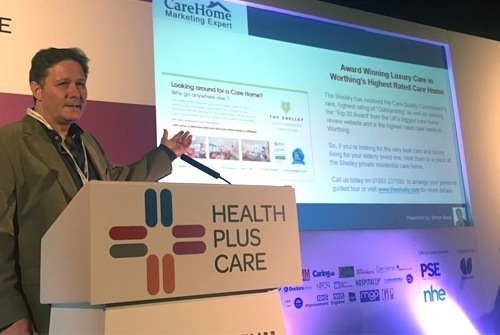 He is the author of 'Full Beds Forever - How To Market Your Care Home In 3 Simple Steps, creator of the Full Beds Forever Complete Care Home Marketing System and founder of Care Home Marketing Expert. 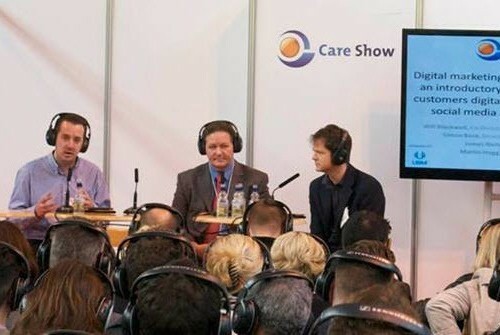 A Member of The Charted Institute of Marketing, he has been at the sharp end of in sales and marketing for 32 years and has been exclusively involved in the care home industry since 2005. 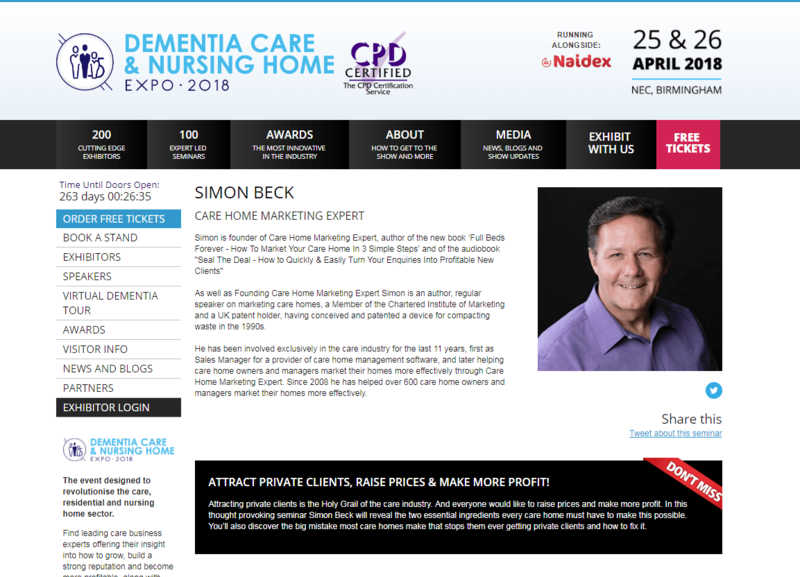 If you're interested in Simon speaking at your event please call 01977 232233 or email simon@carehomemarketingexpert.com to discuss your requirements.